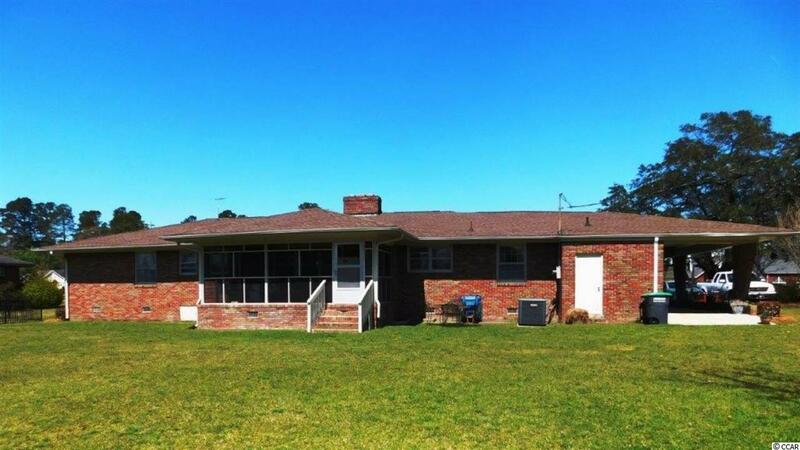 Impressive all-brick 3 BR/ 2.5 BA/ 2 car carport Ranch home with attached storage area nestled on a large over half acre (.53) yard in city limits of Loris. 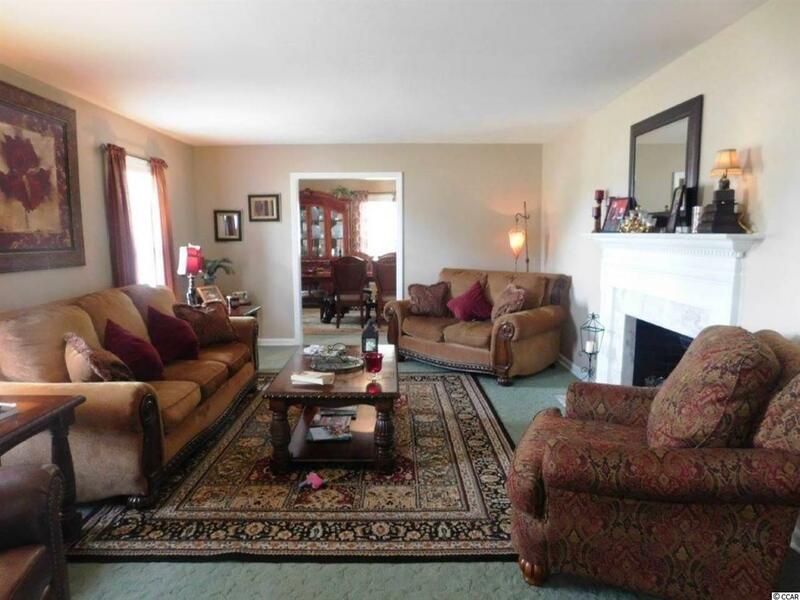 Enter into this spacious Ranch home with a large foyer and arch to the left featuring a huge living room with fireplace and an arch opening to a very spacious dining room both with windows galore to provide a bright, light and warm welcoming atmosphere. Walk straight ahead and find a spaciously, large family room a full wall of beautiful fireplace and a built-in book case. From the family room there's a door opening to a large screened porch with beautiful broken brick tiled floor, phenomenal views of backyard and privacy for your enjoyment. Kitchen boasts a large breakfast area, full wall providing deck area with cabinets and shelves and yes there's a half bath for your guests convenience. Kitchen is quite large with tons of counter space, cabinets galore, and appliances to include microwave, smooth top range, and dishwasher. 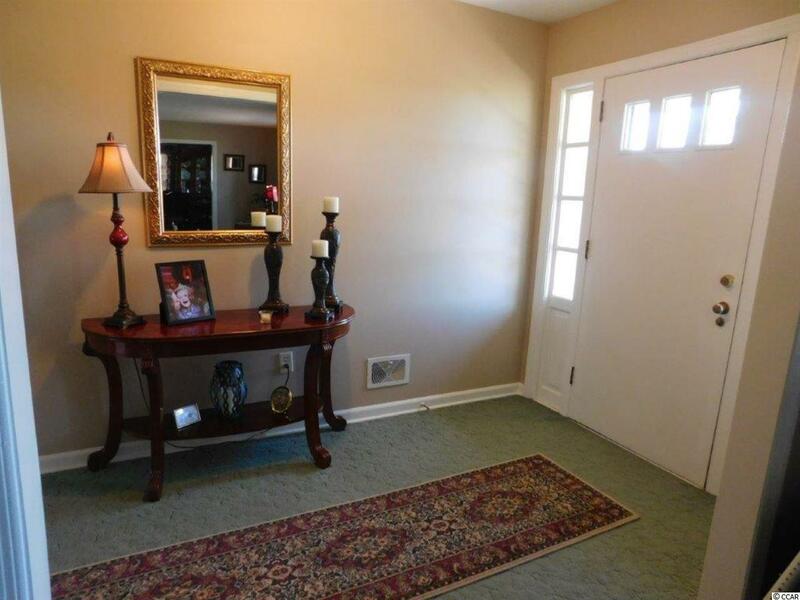 Master bedroom is huge and boasts his and her closets and a full tiled bath with walk-in shower. There are 2 other large bedrooms and full bath with lovely tiled walls, shower and vanity, and linen closet on each side of bath for everyone's convenience. 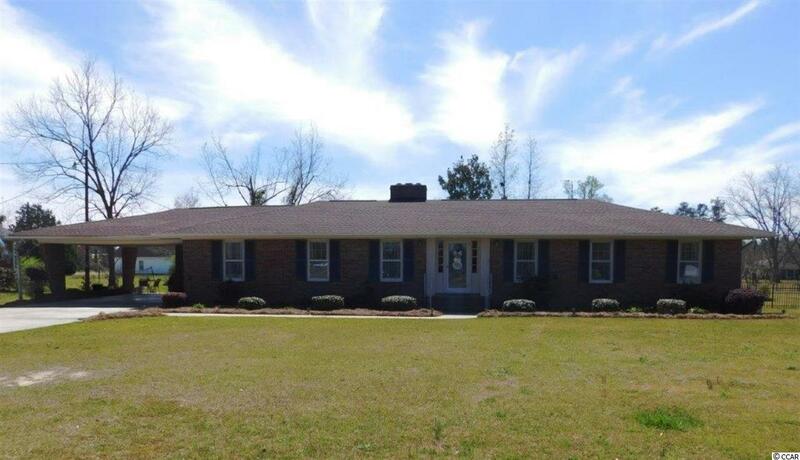 This home is truly a great home with large rooms - all with ample windows to give the home a cozy, welcoming atmosphere, Longing for an all brick Ranch one level home with all rooms spacious - you'll find it in this home. Enjoy the serenity of being in walking distance to shopping, restaurants, churches, and yet only 20 minutes for North Myrtle Beach, ocean, golfing, restaurants and all it has to offer. Truly the best of both worlds. Some of the many upgrades worthy of mention are New roof (2016), New hot water heater (2018), replaced all water lines and main line to home (2018), H/VAC replace (2013) and all duct work replaced (2018). Home is waiting and ready for you. See it - you'll want to call it home.